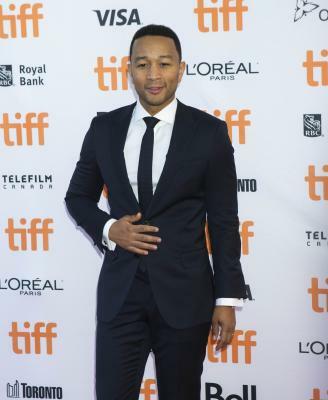 Los Angeles Sep 14 (IANS) Singer John Legend loves his life and hopes his work can make "people s lives a little better". "I love being a father (and) I love being a husband. I love just being a musician and getting to do what I love to do every day which is write and perform songs and hopefully make people s lives a little better by the music and art that we create " Legend told Entertainment Tonight. The "All of Me" hitmaker became one of the elite group of artists to achieve the EGOT - winning an Emmy Grammy Oscar and Tony award - when he picked up a Creative Arts Emmy for his work as producer on "Jesus Christ Superstar Live in Concert" but he is crediting his achievement to his friend and collaborator Common who he worked with on "Glory" their Academy Award-winning song from 2014 drama "Selma". "I would not have an EGOT without Common. (It wouldn t have been possible) without Selma and that song."